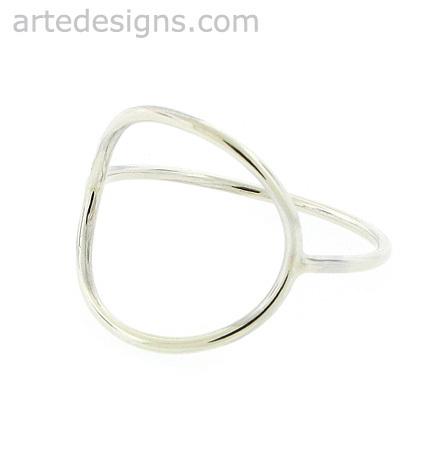 Dress up your finger with this fun and versatile open circle ring. So comfortable and understated, you'll never want to take it off! The circle is approximately 1/2 inch wide and 1/2 inch high. Sterling silver metal. Size 6. This can also be made in size 7 or 8. Please contact me. Be aware, sterling silver scratches easily and should be worn with care (as should all rings).